Although English is now being spoken more widely across the country, learning the Cambodian language is still important, especially if you are travelling to rural parts of the country where English is not spoken as much. Even with a small Khmer vocabulary you will be liked by many in Cambodia, as the locals you meet during your escorted tour of Cambodia see it as you trying to be polite. They will enthusiastically help improve your pronunciation and teach you a few more words to reward your efforts. 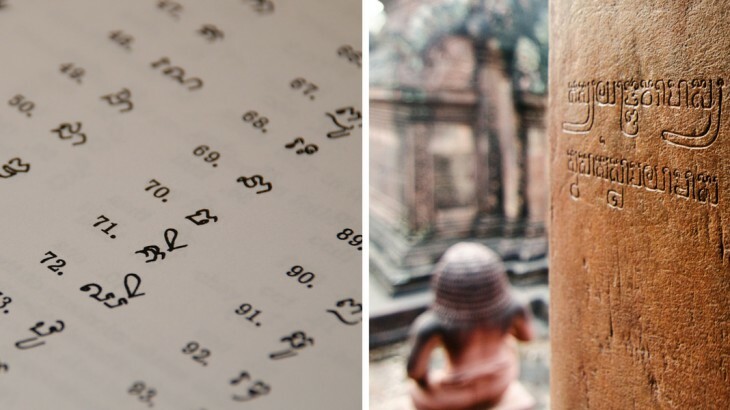 To help you ahead of your holiday to Cambodia, we have had some help from experts regarding some basic words that you can easily learn from the Khmer language that will help you during your travels. Khmer Language Classes for Foreigners recommends learning the following greetings and short answers before your trip to Cambodia. Sok sapbaay? (សុខសប្បាយ) How are you? Riikreay dael baan juapknia! (រីករាយដែលបានជួបគ្នា!) Nice to meet you! We have all been there where we want to ask a question, but don’t know how to say it in that particular language. Here Khmer Language Classes for Foreigners translate a few commonly asked questions. Nih cea ey? (នេះជាអី?) What’s this? Neak cmuah ey? (អ្នកឈ្មោះអី?) What’s your name? Tlay ponmaan? (ថ្លៃប៉ុន្មាន?) How much? Som, kit luy! (សុំគិតលុយ) Check the bill please! Rikitikitavi, who offer lots of information on Kampot and Southern Cambodia, suggest learning a few food-related words to help you during your trip to Cambodia. Here they explain how people should properly pronounce simple foodie terms in Khmer. Cambodia can get very hot and humid, and therefore keeping hydrated is vitally important. It is therefore useful to learn a few words in the local dialect so that you can ask for a drink. In an article from Rikitikitavi about learning Khmer they have compiled a list of some important words and how Brits should pronounce them. If you are on a guided tour like Wendy Wu Tours’ Around Cambodia trip, then you are fortunate as you will benefit from direct travel to attractions and escorted visits around the attraction you are visiting. However, should you need to ask for directions to the likes of Siem Reap, there are a few terms in Khmer that you should try to learn. 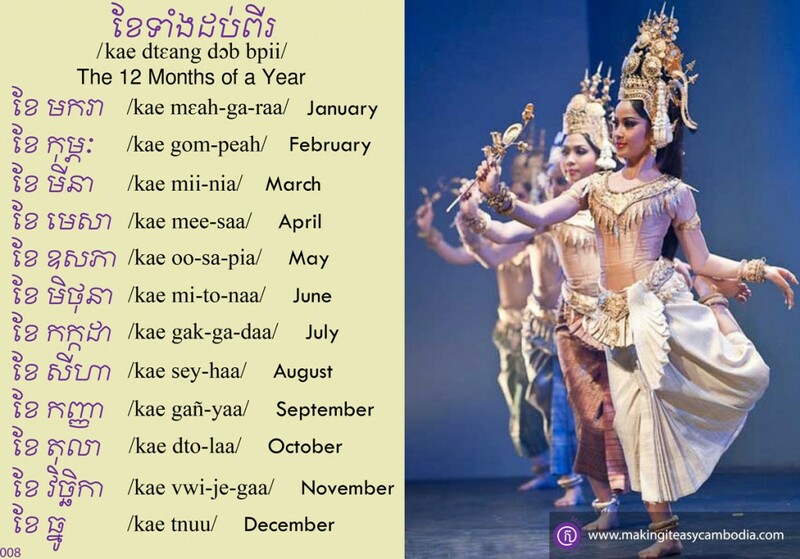 It is also worth learning what the months of the year are in khmer and Making it Easy Cambodia also teach this as part of their specialist classes. 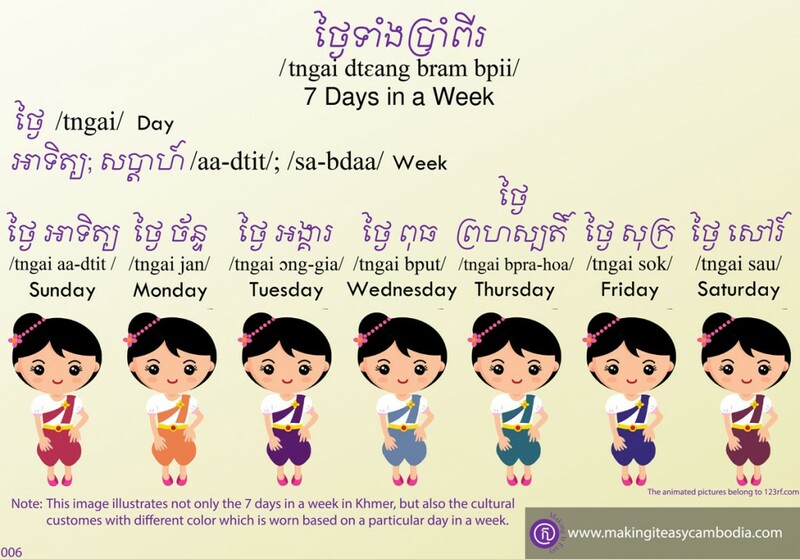 Here are some other useful words and sayings that are worth learning from the Khmer language. If there are any other terms you think we should add then let us know on the Wendy Wu Facebook page or via Twitter. 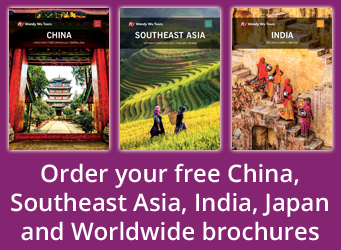 Use your newly aquired language skills on a holiday in Cambodia with Wendy Wu Tours, the UK’s leading Asia Experts. Our award winning escorted, fully inclusive tours visit all the major sights of Cambodia for an unforgettable holiday. Image Credit: Lorna, Justin Vidamo. Cambodia lessons, literature, tourism. permalink.